Sturdy Bowls Are Made With Coated Foam Construction To Resist Leaking And Soak-Through. Ideal For Casual Entertaining Or Everyday Use. Hefty Everyday Bowls Are The Perfect Disposable Tableware To Keep On Hand..
Sturdy Bowls Are Made With Coated Foam Construction To Resist Leaking And Soak-Through. Ideal For Casual Entertaining Or Everyday Use. 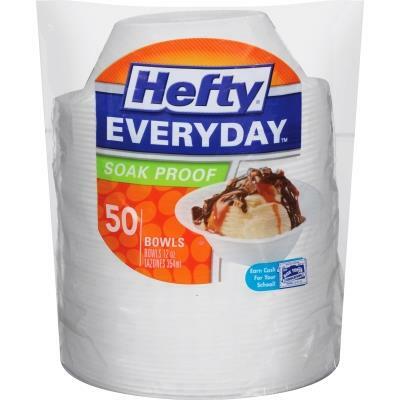 Hefty Everyday Bowls Are The Perfect Disposable Tableware To Keep On Hand.